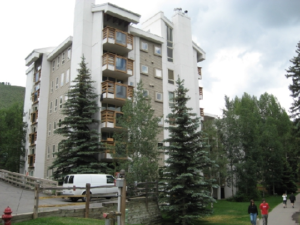 Juan Carlos Braniff together with his wife Barbara Braniff, bought 452 East Lionshead Circle, Unit #3-B, (also known as 450 East Lionshead Circle, Unit #3-B) in Vail, Colorado for $450,000 on July 24, 1992. In 2015, the Braniffs gave the condo to a company for less than $500 (in May), and the company sold the condo for $2,600,000 (in November). In May 2015, Juan Carlos Braniff and Barbara Braniff transferred the property to a Delaware company named Quadrafem 3B LLC, without the payment of any documentary fee. No documentary fee would have been due under Colorado law if the price was $500 or lower (C.R.S. 39-13-102 and 104). Quadrafem 3B LLC sold the property on November 13, 2015 for $2,600,000. We believe that this Juan Carlos Braniff is banking executive Juan Carlos Braniff Hierro. The 1992 deed for the purchase of the condo listed his address as Universidad 1200 Mexico, D.F., Mexico 03339, which was the address for Grupo Financiero BBVA Bancomer’s Headquarters. Juan Carlos Braniff Hierro was the Vice-President of the Board of Directors of Grupo Financiero BBVA Bancomer between 1999 and 2003 and was a senior executive in the company beginning in 1991. Juan Carlos Braniff Hierro was an Alternate Director in the Board of Directors for Grupo Financiero Banorte, S.A.B. de C.V. in 2016.